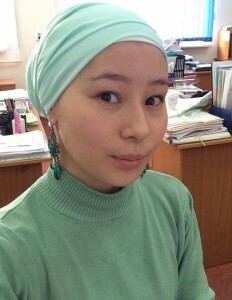 Blyalova Gulim Galymzhanovna in 2013 graduated with honors from the Karaganda State Technical University with a degree in geology and exploration of mineral deposits. In 2016 she graduated from the magistracy in the specialty “Geology and exploration of mineral deposits” and received an academic degree of Master of Technical Sciences. She started working in KSTU in 2016 as a teacher. During her work at the department she has published more than 10 scientific articles and theses, is the co-author of 1 textbook, 1 metodical instructions and 1 electronic textbook, participates in training seminars. Blyalova G., is also actively engaged in scientific work through participation in scientific and practical and international conferences, and also directs the participation of students in NIRS. Since 2016, he is the curator of the group GPR-15-1. He takes an active part in the scientific and social life of the department and faculty.